- Essential tool for your iPhone & iPad. - Test the GPS module. 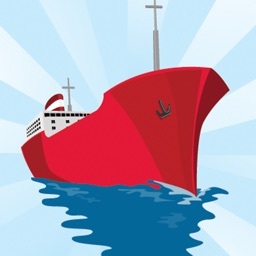 - Supplements operation of your navigation apps. 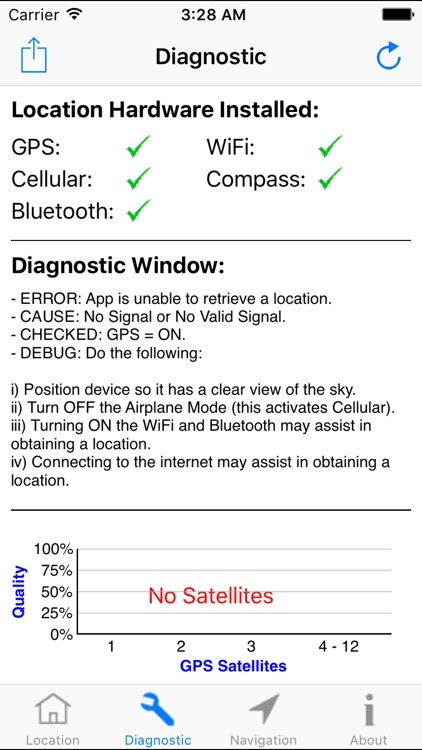 - If location cannot be determined then it diagnoses why. - Assists you in changing conditions to get a reliable location. 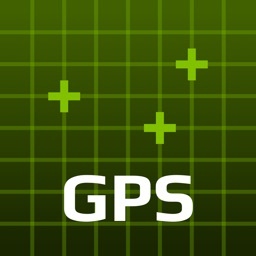 - GPS, Galileo, GLONASS, QZSS full support. 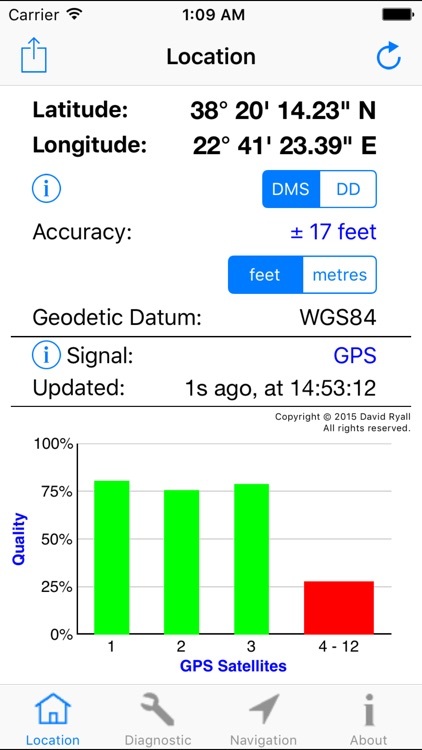 - Latitude & Longitude, and WGS84 included by default. 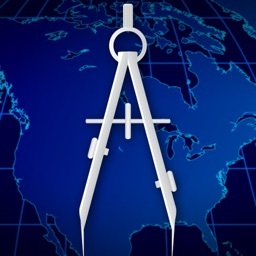 - Global Area Reference System (GARS). - The developer is a professional software and hardware engineer working in the satellite space industry. He is a yachtmaster and pilot with a passion for navigation and Apple products. 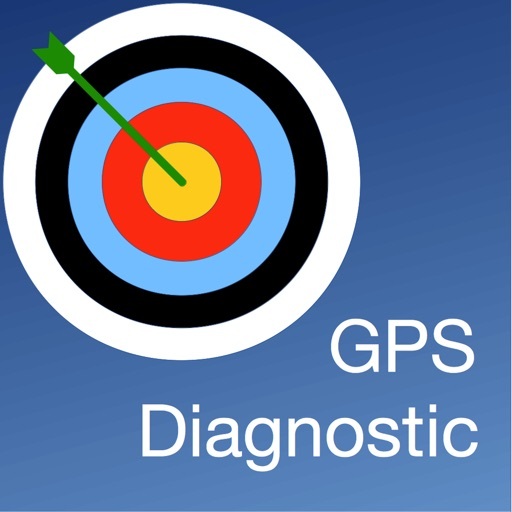 "Perfect Diagnostic Tool - This is the best app if you need to know the actual status of the internal GPS." 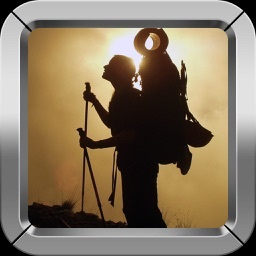 "Excellent application - This was a much needed application for iOS devices." "Awesome, over used term but this app is - This app does what other developers said they could not do." 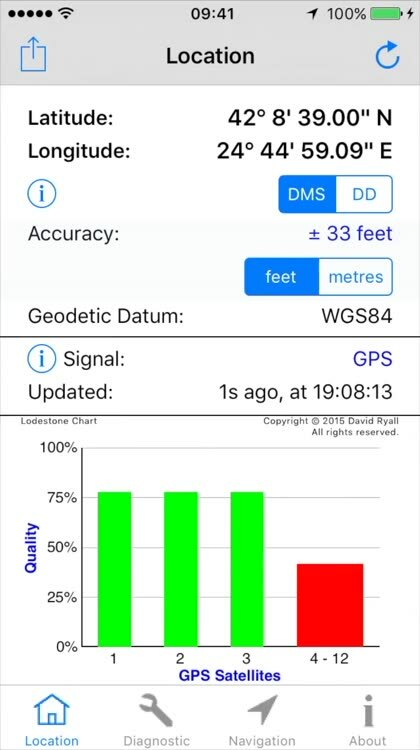 - Lodestone Chart™ displays all essential GPS satellite information using a chart with only 4 bars. This dramatically simplifies the diagnostic process (Registered Copyright). 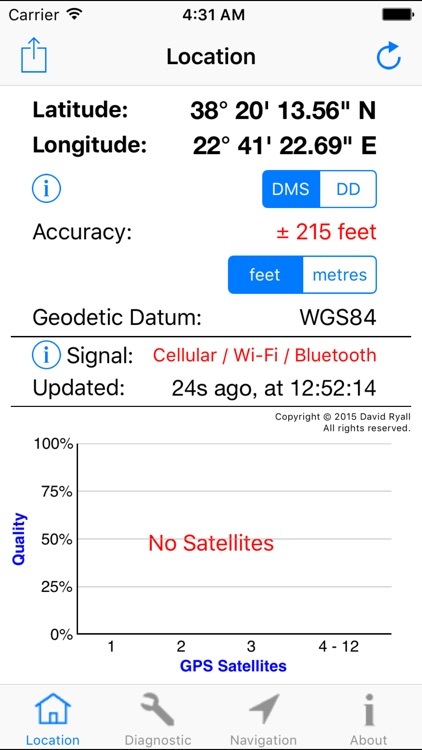 - Uses the internal GPS of your iPhone or iPad. - Includes a Speedometer, Altimeter and Compass. - Speed (SOG) and Course (COG). - Heading (i.e. 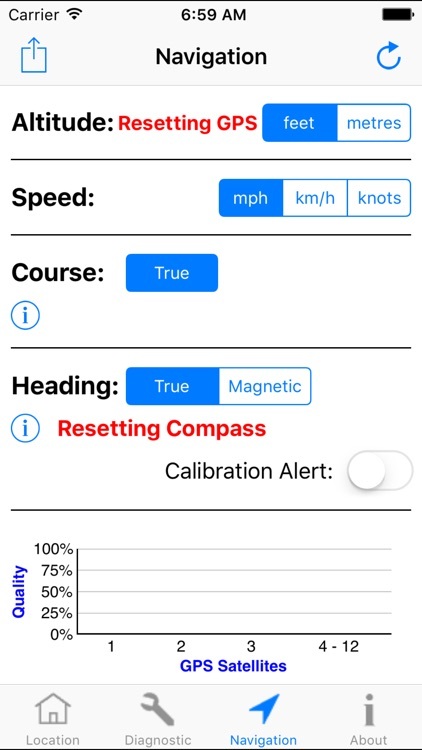 Compass) with ability to turn on and off the manual compass calibration. 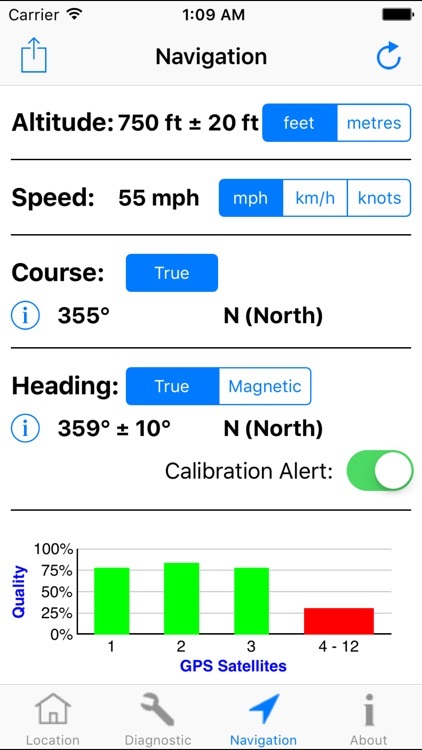 - Accuracy of measurements shown for pro users. 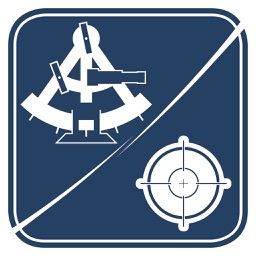 - Imperial, metric and nautical units. These are the most commonly used and most useful navigation units. All easily changeable from the screen in use. - Does not require internet access and does not use cellular data. - Essential tool for any power user. - Share your location by text message, email etc. The format contains all essential information for improved accuracy. - Works with Garmin Glo. - GPS Diagnostic™ is a professional GPS test and measurement utility for your iPhone and iPad.